Oyster Bay Estates in Sarasota is the southernmost of the “West of the Trail” neighborhoods, and it has been around for nearly a century. As one of the original winter homes for seasonal residents, Oyster Bay Estates has changed a lot over the decades; it was originally developed as a vacation destination but was later transformed into a magnet for custom builders who wanted to take advantage of the Roberts Bay waterfront. These days, Oyster Bay Estates is home to a collection of upscale mansions that reflect various architectural styles. The most imposing properties are located right along Roberts Bay; however, an inland lake also provides water views to a couple of dozen homeowners. This neighborhood is also adjacent to The Field Club, a very exclusive members-only waterfront marina and racquet club. 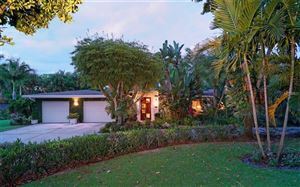 As of early 2019, listings at Oyster Bay were priced between $1.12 and $4.9 million. One of the most impressive listings is a four-bedroom Tuscan mansion that looks like an Italian palazzo; this is a $2.5 million property that includes verandas, courtyards, a large saltwater swimming pool, multiple balconies, an elevator, studio, and a smart home automation system. Many properties have deepwater docks, seawalls and private fishing piers. Life at Oyster Bay Estates is filled with convenience. A few restaurants such as Alpine Steakhouse, a Taste of Asia and Demetrio’s Pizza are within walking distance; the Publix supermarket at The Landings shopping plaza is less than five minutes away, and the same can be said about the Trader Joe’s on Glengary Street. 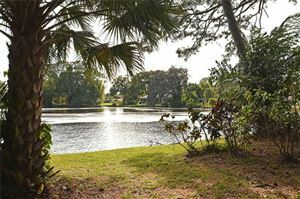 The waterfront Phillippi Estate Park is located a few blocks to the south, and the closest road providing access to Siesta Key Beach is less than 10 minutes away. 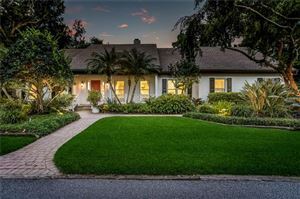 See all Oyster Bay Estates Sarasota Homes for Sale.